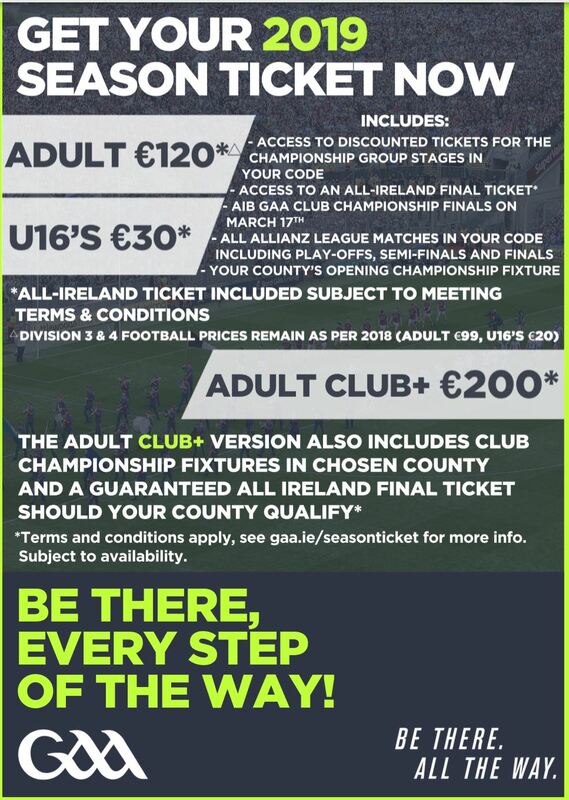 With the 2018 Inter County Season now finished we are finalising the details for the GAA Season Ticket for 2019. Season Ticket pricing for 2019 has been confirmed by our finance dept. It remains unchanged from 2018.